Once you get a feel for the car that you’re racing – and that part is just down to getting laps in the seat – you’ll probably find that you have to have a bit of a think about how to get faster. At first, it’s all your brain can take to be able to actually control your car at high speed, and try not to exceed the limits. This soon becomes a subconscious act, and you’ll find that you’re able to think about other aspects of driving – and here’s where you can improve. Learn the racing line. The racing line will effectively straighten out every corner, allowing you to carry more speed through them. There is a natural line to most tracks that you’ll get a feel for quickly, but there are lots of exceptions where the racing line will be different because of bumps or the camber of the track. Playing games may miss out some of these things, but watching onboard videos and following other cars around will help you, here. If you’re ever more than a few millimetres away from the edge of the circuit, then you could have done it faster. It’s amazing how even experienced racers will drive like they’re scared of the edge of the track – often sitting a foot or more away from the edge before turning into a corner. If you concentrate on being as close as you can to the edge of the track, and follow the racing line, it will open the track up massively. Everything will feel less rushed, and you’ll be able to carry more speed everywhere. A few inches really can make all the difference! This is the main thing I watch videos for. I want to know exactly where the fast drivers are slamming the anchors on, so that I have a reference point to do the same. 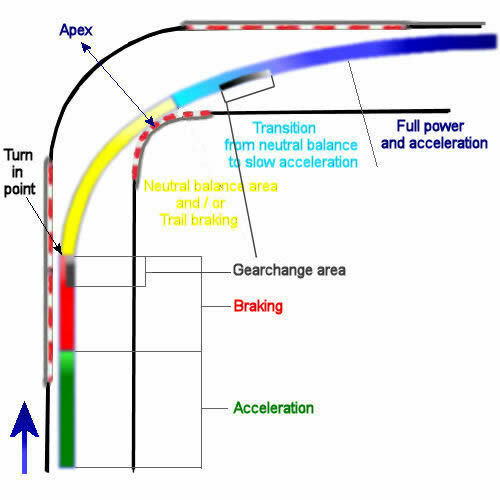 Consistent braking is the key, here, because you need to spend time working on it to be able to brake at the maximum. This one is actually between straight-line braking and trail-braking. If you’re on the power early, you should be able to carry more speed down the next straight. You should get the power on early enough that it carries the car right out to the very edge of the track on the exit – if you’re exiting the corner 2 foot away from the curb then you could have got the power down earlier, and done it faster. This is also the safest way to go faster. if you go slowly into the corner but are fast coming out, it’s better (unless you’re racing another car that will stuff it up the inside of you and do a block pass!). If you go into a corner too fast you’ll just crash, run wide, or naturally have to exit the corner slower to stay on the track, so this is a far riskier way to get faster. If you go in nice and safely and then get on the throttle, you can get off the throttle again if it all goes pear-shaped, or save it with some opposite lock (or drift it around on the power and look like a proper hero!). “Slow in, fast out” is a great mantra. Once you have all this, you’ll find you’re not doing it on every single corner. There will always be some corners that you’re slower in. Take one corner at a time, and work on it. This is where testing helps a lot. These are all the things you can do that can gain big chunks of time. There are a lot more smaller things that will chip away at those last tenths, and to be honest, even after a year and a bit of racing, I’m still not at a level where these smaller things are worth too much worry. There are also the things that will make you smoother but not necessarily gain any time – heel and toe, anyone? And so we’re nearly ready to kick off the 2017 season at Oulton Park on 01 April! I say “we” – my car still has no engine, but as I’ve said before, it wouldn’t be the start of the season if we weren’t still working on the car at midnight the day before the first race! Good luck to everyone this year – let’s keep it safe and give everyone a great show of racing! After finishing Donington with more holes in the engine than we started with, it made sense to play it safe and not rev over 7000rpm. Of course, in qualifying, I had a lot more than that to worry about! Glenn had pretty much straightened out the bent front beam, and we’d found the wheelbase on the left was an inch or so shorted than the other side – so that should explain why the car had been pulling to the left. When I came through the tunnel before the session, I jabbed the brakes and the car veered massively to the right. I thought we might have overcompensated with the set up, or maybe the piston on the left brake caliper had shaken itself back. I could only do a soft brake test before I was in the holding area, and that didn’t show anything up. 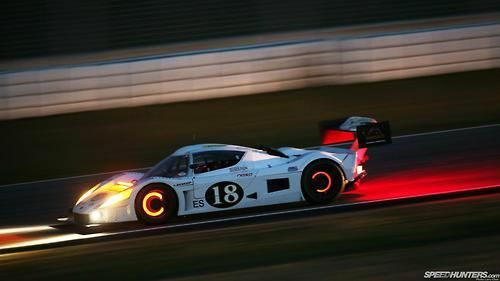 I told Glenn, who said the brake pads were also a bit low, so that might not be helping. I decided I could live with it for 3 laps (the minimum to qualify) and then come in, and then we could fix it before the race. As it turned out, the brakes were fine – but I then started getting a misfire coming off random corners. Weirdly, this disappeared before the races – but Glenn’s tweaking, whilst not finding a cause, may have fixed this. So I was expecting to qualify higher than I did, but wasn’t overly concerned. I was still struggling with some corners, but was much better in others than at the Festival. I don’t think I ever ran wide out of Graham Hill, and was pretty good through Surtees – but although I was faster through Paddock Hill my line was useless. I was under a lot of pressure from behind in Race 1, and my shoddy defensive line through Paddock Hill seemed to them become my regular line when I was on my own. I need to slap myself for that! The results weren’t great – but then with all the guys up the front being SERIOUSLY fast, that could be a problem for us this year. I do find it quite amusing that my mix-up between Maurice Gloster lapping me and my battle with Sam Engineer meant I was 3 secs per lap faster as I tried to fight back at Gloster! The good news is that I am finally feeling comfortable with the car getting a bit out of shape. When I had The Moment on the last lap through Surtees when the back stepped out, I made one very fast correction to the exact angle needed. There was no input needed for the recovery – I simply turned into the next corner from that with the car totally back under control. I’m pretty proud of myself, and think that might be the ‘click’ I get with a new bike when I sort-of become one with it (in hippie terms)! I’ve said from the start I think the way to drive a Vee is to get it moving around. Now I’m sure I need to get the car out of line BEFORE the corner to have any chance against the faster and more powerful opponents. James Harridge demonstrated this perfectly with a huge 4 wheel drift into and around Druids when he lapped me, as did John Hughes as he passed me through Paddock, with a filthy great lurid slide all the way down the hill. This was also carbon-copied by Jamie Harrison when he came back passed me in the same place! If I can back a bike into a corner, then surely I can do it on 4 wheels? If not, I’m going to learn! I was using lift-off oversteer mid-corner a fair bit to bring the back around and turn it in, then powering through the exit. 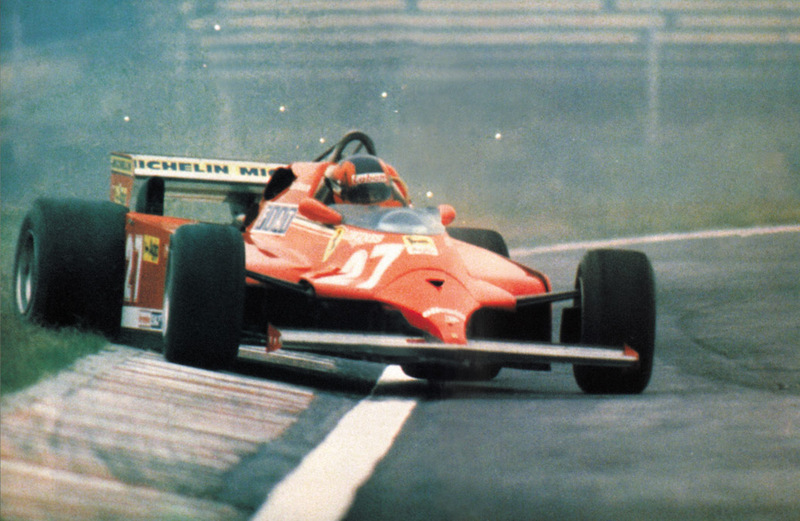 This seems to work equally as well in slow corners like Druids as it does flat out through Surtees. Glenn has remounted the rear shocks ready for Croft, so we’ll see if this helps with another few inches of suspension travel plus a lower car. Race 2 felt like I drove much harder, but was actually only 0.01 secs faster. Track conditions could account for this, but overall each lap was faster – and of course I didn’t get lapped by the leaders! Having Martin Snarey as a target helped a lot with this. My engine just doesn’t sound like it did last year, so something isn’t quite right, but we don’t know what. For Croft I’ll be pushing the engine a bit more, and revving to 7400rpm or so and seeing if all our power is still in those last 400rpm. Croft is a circuit I only know from TOCA Touring Cars computer games 20 years ago, so I will be doing some YouTube research for it. We can’t afford to test for this one (in terms of both money and time due to travel), so I’ll be jumping straight in and learning the track in qualifying. If it’s dry then the fast corners should suit me, but might not suit our reduced power too well. If it’s wet… well, it might not be so bad for us at the moment! I hope you all liked the amazing footage from the new JooVuu X camera – I will be talking about this a lot more in the near future! See you at Croft this weekend – hopefully for some more sideways action! Donington did not go well. I’m still pretty disappointed in myself for not pushing harder, like I know I can. I’m fully aware I’m still learning – but I’m not going to learn much without pushing the boundaries a bit! Was I on the limit? Can I push harder in that corner? How about THAT corner? And that one? Brake less – carry more speed through! I know my lines are pretty good, and I’m fairly consistent and smooth. If you remember my first blogs I talked about the racing line being the most important basic. Not just that, but where you position your car on the track. I try to stay as close as possible to the edge of the track – a lot of drivers will leave a good foot or two between them and the edge of the track. I know that this is a major thing to work on if you want to go faster. If you leave 2 inches between you and the edge of the track, it’s bad – one inch or less and you’re getting there. It’s much harder to do this than you might think, but makes a massive difference, because you’re effectively opening all the corners out and making them easier. The thing I’m not doing is taking advantage of this to carry more speed through them! 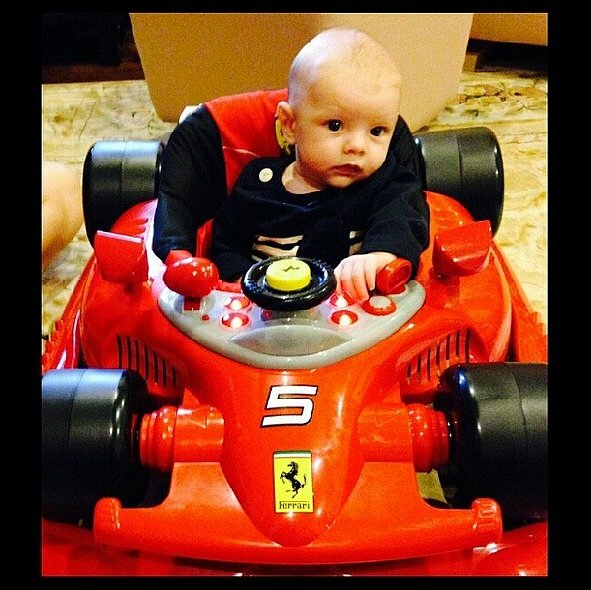 So it’s easy for me to drive – but far too easy! I can and should be raising my corner speed until the car starts to move around, and at the moment it’s just on rails. My tyres aren’t starting to slide, and I’m not having to correct anything. I was getting close to the mark around Coppice, feeling the back start to slide around on me in a balanced way, but last time out at Donington I was doing this around Redgate and occasionally in a few other corners. I need to be doing this in every single corner like I know I can do! Last time at Brands Hatch, in the final race I was just doing this around Clearways and Surtees, but not really anywhere else. And you know when you are, because it feels GOOD! Speaking of Brands Hatch… Less than 1 week to go… Glenn found that as well as the big bloody hole in the engine case, we’d been burning another (different) piston – which had made a mess of the cylinder head. We think it’s recoverable, but we do have a few tiny holes on the outside, but that shouldn’t affect the seal. We used Shell V-Power from the same garage as when we burnt the last piston at Silverstone – so that seems to be the only common denominator, at the moment. We’re thinking maybe their ‘super’ unleaded, well, isn’t. It seems odd that it’s the same damage you’d expect to find if you used ‘normal’ low octane fuel, and yet using BP, Sunoco and Gulf super fuels, we’ve not had the problem. I know for a fact (I tested it myself!) that Shell V-Power is the best fuel for my bikes, so I’ve got nothing against V-Power – just doubts about whether that’s what we were buying from that garage… And we’d be silly to stick with Shell until we know for sure what’s going on – so Shell is out for now. The thing that’s going to take this one down to the wire is straightening the bent front beam. Luckily, it seems Glenn can do this without having to chop and weld pieces in, or make up a new bean with all our modified fittings… It’s a big job. We’re also wrapping our exhaust system – which with any luck might bring the volume down a few db’s. More importantly, this will increase how fast the engine can expel exhaust gasses by maintaining high temperatures in the exhaust itself. And, yes, I did have to look up the science behind that! This was all looking very iffy for even getting to Brands, but I think we’ve got it in hand, and should be there. If it’s dry, I will also be eager to use the new JooVuu X camera for the main footage – this truly is a quality camera, and on special offer from £92.24. I will be doing a full review shortly for using it both as an action camera and an in-car road camera. Go snap one up! And my final plan for Brands Hatch will be to wear my new Fitbit for the weekend. Any guesses what my heart rate will show during the races? How do you learn to race? Is there really any such thing as ‘natural talent’? Can anyone just climb in a racecar and wow everyone else with their skills? I don’t think so. At the very least, I KNOW that I certainly can’t! I put in a lot of research before I began racing, and in a lot of ways it was that learning that fired my passion to want to race. From an early age, most children (I’m not going to say “boys”, but writing this highlights another reason why girls might have a tougher start in the motorsports world) will play with toy cars, and watch motorsport on TV. Then it will be the inevitable progression to video games. Whilst this is all very fun, it’s actually teaching you a lot about the physics of how cars move, and with the games you’ll find you need to follow the racing line to win. 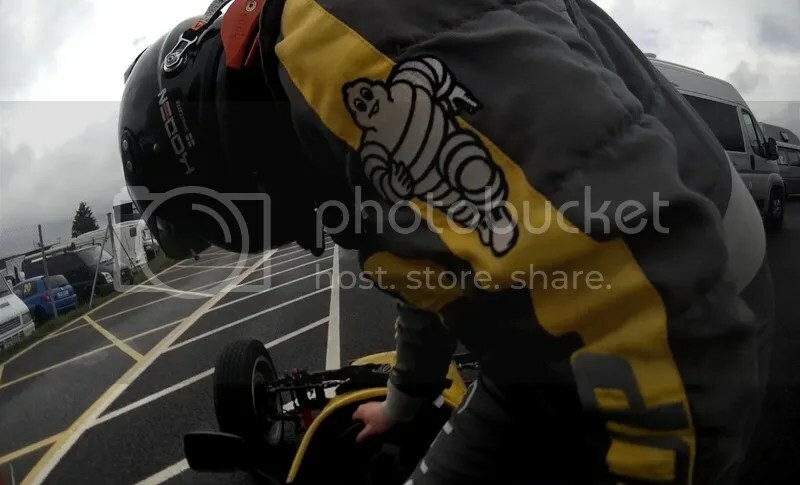 If you’re lucky enough, it’s around here that you’ll get to jump in a kart, and then spend the next 10 years learning race craft and driving first hand – however, if you’re like me that isn’t didn’t happen, and you’re at a definite disadvantage over all the child racers. Then maybe you get your own road car, and learn the skills needed to drive a proper car. You may not be pushing the limits, but it’s all going into your ‘lizard brain’, where you don’t have to think about how to change gears, when to use the clutch, how to feed in the throttle etc. Most potential racers will then do a few track days, honing those skills even more, and getting their brains used to driving quickly around a circuit. Then there’s people like me. 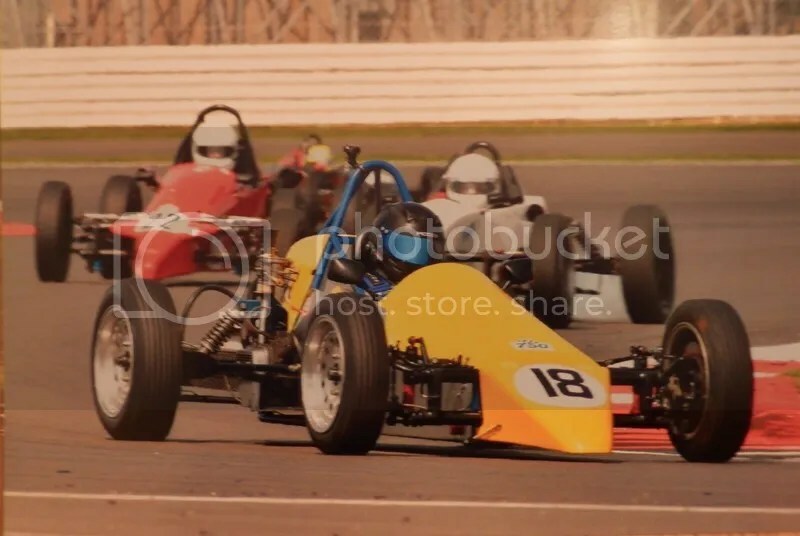 I did a handful of ‘arrive and drive’ kart sessions with no training or competition, rode motorbikes for 10 years (although bikes are great for sharpening reactions and getting into the mindset of improving skills), finally took my car road test around 5 years ago, and the first time I ever drove on a track was for the ARDS test! I’ve done alright, considering – but what you won’t see from that CV is the hundreds of hours I’ve spent reading up on racecar physics, months of studying onboard videos in intense detail, and my mental preparation. It’s not easy, and there is no quick way, if you want to be serious about it all. There are hundreds of educational racing books around. 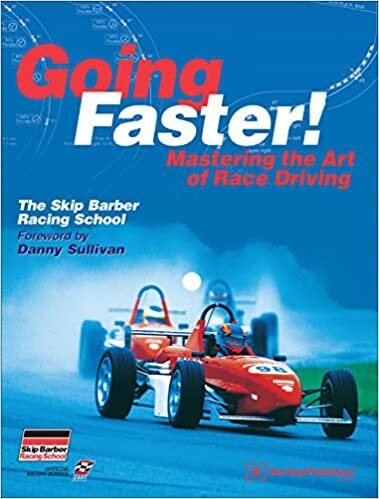 The grand-daddy bible of all of these is “Going Faster” by Skip Barber. Another Vee driver – Ben Miloudi – kindly leant me this book when I first had the idea to race. I studied it like I was going for a PhD! Tyre slip angles, heel and toe, the grip scale, racing lines, sacrifice corners, and even what to do when it all goes wrong (clutch in and stand on the brakes!) are all in this invaluable book. If books aren’t your thing, then there is also a cheesy 70s video version around – but, like most films, I found the book was far better! 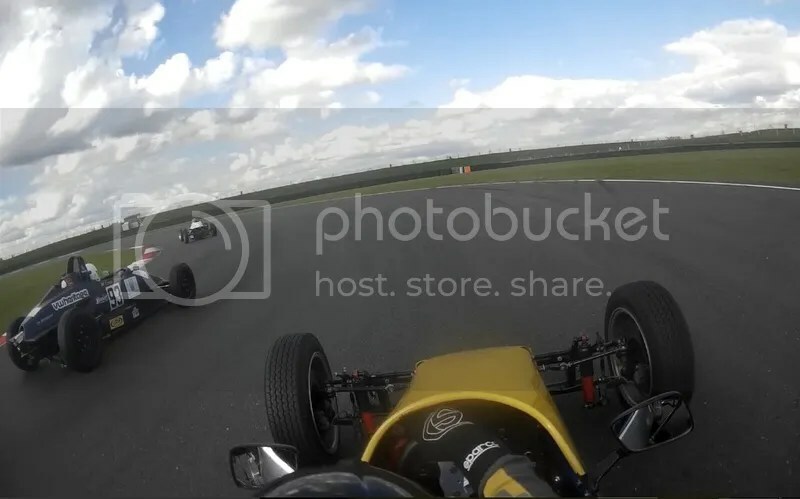 The videos that I did find worthwhile are the onboard videos from other Formula Vee drivers. From these, you can learn the track, listen for the gear changes, and see where to hit the brakes and turn into the corners. Whilst you need to study the videos from the front-running cars, I’d also highly recommend watching the slower drivers as well. You’ll then see WHY the faster drivers are faster – braking later, getting back on the throttle faster, braking less, lifting off through corners or staying flat… It’s not perfect, because most footage seems to disappear (get your vids on YouTube Paul Smith!! ), has no sound or has dodgy picture quality. And before you take a Paul Smith approach into your first ever corner, do be aware that your brain will scream “HELL NO!!!! !”, so make sure your markers are somewhere between the faster and slower drivers! It’s also important that you’re watching Formula Vee videos. If you learn a circuit by watching an AC Cobra blasting around the place, you’re going to be in for quite a shock at how differently you need to drive a Formula Vee car! Speaking to other racers can be a massive help, too – but do be aware that how they get through a corner in the pre/post race banter can be considerably different to what they do in reality! You’ll hear “Take that corner flat – don’t lift” quite a bit… Even if they are doing that, consider that they might have been doing it for 15 years and have the skill not to end up as a fireball against the pit wall – or they might just be a bit of a head-the-ball! So listen, but ultimately go at your own pace and push safely from there. Glenn has been an invaluable source of information about how to drive – he’s got a championship win to prove he knows his stuff, and we’re happy to be both brutally honest with each other and realistic about what we should be achieving. After these, the only thing left is to drive! All of the above will help you to understand how to go faster, but as I’ve said many times, there is no substitute for getting laps under your belt! Testing is expensive, but it’s pretty essential when you’re staring out – whatever experience and background you have. If I had it my way, I’d do a test day at every circuit before race day, just to familiarise myself with it. That worked for, umm, one track last year, and this year could well be the same story. Overall, I’m very happy with the weekend! I brought the car back safe and well, didn’t take anyone else out, and got 11th place in the first race! You may have noticed me punching the air when I saw the chequered flag, there! It felt like I’d won! For my second ever race weekend, that’s not bad going! I am still playing it safe on track, because I don’t want to kill the car, and realise that I am still learning, and have a long way to go. Don’t get me wrong – I’m pushing harder than I’ve ever pushed before, but as I’m doing that, it’s like I’m stretching my own limits, and I’m fully aware of how much harder I can use the car and still be beneath my own ragged edge. At Snetterton, there is absolutely no doubt in my mind that I could be 5 seconds quicker per lap and still not be overstepping my or the cars limits. I actually didn’t drive very well, and most of that is due to lack of preparation. I simply didn’t study the track to know it well enough before I got there. Testing the day before as many other drivers did would have helped, of course, but we have a very tight budget to work to. Watching my own onboard videos and seeing myself on the videos from other cars is a brilliant learning tool and very entertaining, but there’s no hiding your shortcomings, either. My lines through the infield were a bit shoddy, and I should have been turning in much harder just about everywhere, lifting off less, braking later… The first corner alone I was pretty terrible at, and it’s exactly the kind of wing-and-a-prayer corner that I love and am good at! I also wasn’t trail-braking enough, and I KNOW that that’s where massive chunks of time can be had! Tim Probert actually came up to me after having followed me in a race on track (before he pissed off into the distance! ), and said “We’re going to have to teach you trail-braking!”. This was backed up speaking to Paul Smith (note: He started dead last in race 2, having spent most of the night rebuilding his engine after killing it in race 1, and then was in the lead by lap 3! Truly amazing stuff – and he clocked a 2:09 lap time to my best of 2:17!) who said it was weird being with us lot at the back end, as we were braking so much earlier into the corners. I guess that easing into things this way and not going all-out is the sensible approach to be taking. I don’t want “my ambition to outweigh my talent” until I know for sure I have the practical skills to back up the theory that I’ve studied. Donington Park is the next race and season finale on 3rd October. Again, we won’t be testing there before the race, but I know the layout well and have been on a bike track day there. It’s also my ‘home’ race, so there should be some people I know coming to watch – and qualifying and both races are all on the Saturday. I’d like to get a top 10 result to close the season, but in reality this is the first track that all the other drivers will know very well, so it will be tough to get inside the top 20! Whatever happens, I’m sure it’ll be a lot of fun!